…M’s response to my telling her that I am going back to work. I once had the potential to be what most people would call a ‘high flyer.’ I entered one of the finest graduate programmes in the country, acquired multiple letters past by name, got a number of degrees under my belt, wrote articles as an ‘expert’, until, that is, I had children. Then my perception of what was important and where I was going in my career was overtaken by how much my baby had slept/drank/cried/pooped/peed, and I forgot how to spell my own name. I went back to work after a year but was torn between the guilt when I was working, and being brain-dead when I was singing ‘Gymbo the clown goes up and down’ for the 100th time. Eventually, the guilt, stress and pure exhaustion won out and I stopped working completely to see where things would take me, despite my husband’s fear that this meant a withering bank account (which by the way he now agrees was completely unfounded). The Sunday Times Style Magazine last week quoted that Generation X are ‘those aged 30-49, who are likely to be in the thick of child-rearing or taking care of elderly relative, are the most likely (48%) to say that work eats into family time. This is the most time-squeezed, stressed group of all, and huge numbers of that generation’s high flyers dropped out to raise their children.’ A few years on, I am still trying to figure out the right balance, between my children’s needs (being with them 100% and becoming a neurotic helicopter parent), and my needs (needing actual adult conversation, whose main subject of conversation doesn’t revolve around sleep training or school admissions). 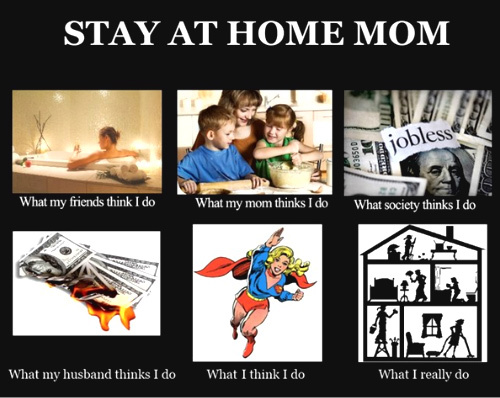 As it turns out, all the research shows that the career supermom is happier than the full time Stay-At-Home-Mom (of course, this research doesn’t consider the Notting Hill SAHM who have full time nannies). (http://www.huffingtonpost.com/2011/12/15/study-working-moms-are-ha_n_1152202.html) Career supermoms are valued in society, which values women like Nathalie Massanet, Sheryl Sandberg and Hillary Clinton who managed to be working mothers who have excelled in their industry. Full time working mums say they enjoy work because they are intellectually satisfied, earn great money and enjoy the social aspect of work. 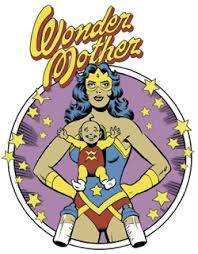 Of course, the career supermom will always have the risk that their children call the nanny ‘mummy’ (which has happened more times than I wish to explain), and they will have to manage their guilt when they miss their child’s first steps and have to explain to their child why they were the only parent who wasn’t at the school christmas play. *In the first couple of years babies and toddlers need ‘constant, consistent, one-on-one, loving care’ from a primary attachment figure. Doesn’t have to be mum. As time goes on, the care can be shared with other loving attachment figures, e.g. dad. *Between ages two and three is a grey area – it probably depends on the individual child. *From around three, children benefit from being with other children for a few hours a day, so a half-day at nursery is probably a good thing. *The older children get, the more they need to move beyond the family so they’re probably ready for a full school day from around 6/7. *BUT throughout childhood, they still need loving care around the edges of the school day – time with their family, as well as time with a trusted adult ready to hand while they play. The one thing I can’t get my head around is that not only do these supercareer moms work 70+ hour weeks, but when they come home, they often are still in charge of the household/cooking/childcare etc… even having equal or greater pay than their husbands. This is where women have failed in their fight for women’s lib. These women end up with the work, the house and the children to look after. Most men have not taken their half of the house-work equal to how much women now work. Of course, to the few women who have these perfect husbands who work and take care of the house, consider yourselves very lucky. Part-time working mums are meant to be the happiest since they manage to spend time with their children, as well as stay in the working community. But unfortunately, this doesn’t always work out, as eventually those mums feel torn in both directions; when at work they think about home, and when at home think about work. Working part-time mums, consider themselves ‘involved moms and talented employees.’ They enjoy the social aspects of work, being challenged and fulfilled on the job, and the increased financial stability (which translates into balancing the power in the relationship between husband and wife). They are although, probably the most stressed out of the three groups because they have the whole domestic responsibility as well as the job responsibility, therefore pressure coming from all angles. The career woman can leave the majority of child-rearing to the nanny, and the SAHM can leave the money-making to their husbands. 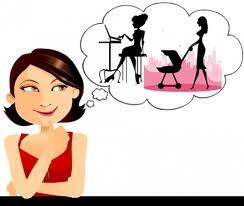 As mentioned in my last post, mumpreneurs are the new, hot, trend among NHYMs. I was having a conversation with an above career supermom; fund manager, part-time internationally renowned artist, mother of two, LSE graduate, loving wife, about mumpreneurs, when she condescendingly snubbed the term ‘mumpreneur’ telling me it was really just a hobby for these women. But when I asked her when did a hobby becomes a business, she replied that ‘Anything that makes money is a business,’ so all of the mumpreneurs I know, genuinely do make money, therefore are businesses (even if they are in a privileged position of not having to contribute to the mortgage payments, but we are in Notting Hill after all). Mumpreneurs set out to make money, whether in designing clothes or jewellery, creating a food business, or becoming yoga gurus. It takes guts to set out any company on your own, with the looming reality that you may fail and that everyone you know will be talking about it. You invest your money, you create a website, you hire a tax account or do your own taxes, you learn to understand marketing and advertising, you manage your inflow and outflow of costs and revenue, and all these things that some of these women may never have done before. They become marketers, advertisers, accountants, graphic designers, web designers, business managers and the cleaner, all rolled into one. If anything, it will give them knowledge for the next business they try to set up. I admire these women for doing it, and yes, most of them will fail. Actually, 82% will fail, since only 18% of any entrepreneur will succeed, in any business. Many of these women will have worked in a corporate environment before deciding to go at it on their own, and will use their past skills to start their own company. As a strong supporter of small businesses, innovation, and entrepreneurial spirit, I admire and salute all these women, trying to juggle being there for their children, while creating a business or company. Annabel Karmel started like this, Ella’s Kitchen as well. They inject money into the economy, they are useful to society, they learn or hone new skills for the future, they stay interested and current in their industry, and they strive to be a part of working society. A number of superwomen, beautiful, creative mumpreneurs have approached me since the beginning of the blog, promoting their passion to me, and as a woman/mother/entrepreneur supporter, I wanted to share some ‘mumpreneurs,’ (some who have approached me, some I have heard through the NH grapevine) who have taken the courageous plunge into entrepreneurship doing what they are passionate about, often from a completely different career background. Food and Beverage: Ex-model and LSE grad, Bodil Blaine is starting a war with Nespresso, making ethical coffee at CRU Kafe teaming up with an established Canadian Entrepreneur (http://crukafe.co.uk). Chika Russell is importing West African treats the UK, which have already been picked up by 5* hotels, and will soon be found in a number of high end department stores. (http://www.chikas.co.uk), Kara Rosen Diamond uses her marketing expertise by bringing cold pressed, organic juices from the US to the UK with Plenish Cleanse, which has already been featured in many magazines, including the Sunday Times Style Magazine (http://www.plenishcleanse.com/shop/). Health and Fitness: Ex-Banker turned pilates and facial fitness guru, Carme Farre, gives you a six pack, a Kim Kardashian bum, and a wrinkle free face without any surgery (http://studiocarme.co.uk). Leslie Saglio, an ex-real estate expert brings Serene Social to the UK, ‘an international wellness, philanthropy and conscious networking community for women,’ organising rooftop yoga (http://serenesocial.com/events/serene-london-rise-up-weekly-rooftop-yoga-series), and on top of that she teaches kids and yin yoga in West London (http://www.lesliesaglio.com). Design and Style: Ex-De Beers/Cartier artistic director, Raphaele Canot brings her creative expertise to her ‘timeless and beautiful’ art deco jewellery line (http://raphaelecanot.com). Alex Al Badar, an ex-model, has turned herself into fashion designer and collaborates with her sister who hand paints individual breezy and bright designs at Soler (http://www.soler.co.uk). Rachel Verghis has started a company called gooeyskins, http://www.gooeyskinshq.com, which designs cool and iconic cases for iPads, iPhones, and other gadgets. 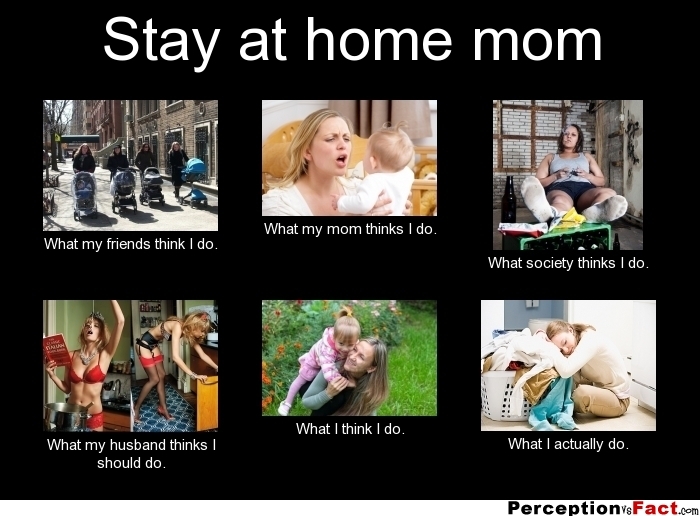 The Stay-At-Home-Mum is considered be the unhappiest of the lot, with the most depressive illness and mental health issues as seen in the study mentioned before because of loneliness and feeling that society doesn’t value them as much as a working mother. Of course, this doesn’t apply to most Notting Hill SAHM, as they have the luxury to hire nannies and focus on their needs any time they want (There should be a study on SAHM with help and their life satisfaction). Being a SAHM makes you financial dependent on your husband (usually, unless you have your own trust fund to rely on), and unfortunately gives him power in the relationship. He works hard, therefore you are responsible for everything else outside the scope of work; keeping the house immaculate and clean, raising the children, having – the right- food prepared on the table at night, arranging school and playdates, grocery shopping, present buying, looking good for his work events and the list goes on. 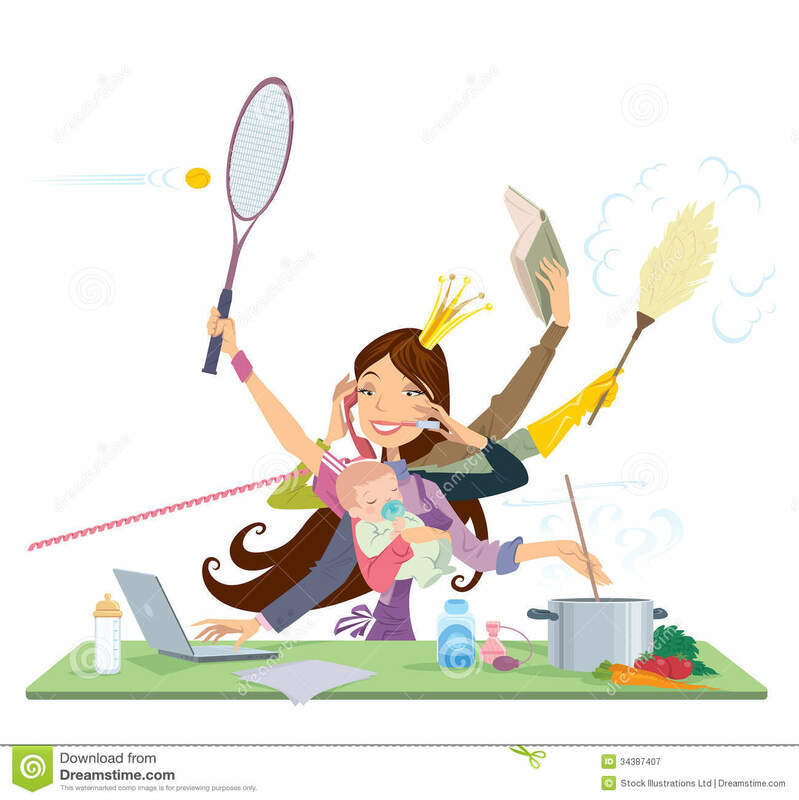 Some women feel guilty about their husbands working hard all week and feel indebted to them, while husbands resent their wives for having a ‘lady of leisure’ lifestyle. My mother was a typical SAHM who told me from a very young and tender age to go out there and have a career, have a job and be financially independent. This was the generation who pushed women’s lib and forced society to accept women as equal workers to men. Unfortunately, this has also brought on increased divorce rates through women’s independence, women marrying later and having more miscarriages and ivf babies than ever before. Spending all day long with your children, and even meeting other similar like minded women can be fun and somewhat appealing for a certain amount of time, but two problems arise, one is helicopter parenting since these women’s sole focus of their attention are their children, which creates a needy, anxious and dependent child with poor coping skills (http://www.psychologytoday.com/blog/nation-wimps/201401/helicopter-parenting-its-worse-you-think), and secondly, what about the longer term. In only a few years, their children will leave their home to go to school full time and then off they go to university and the empty nest syndrome will hit. What will they do then? It will be much harder to get back into the working world if they stopped working early on, and when their children are at university, what will they do to to keep their minds sharp and focussed? Having a ‘hobby’ or business will do that, whether or not actual money is actually exchanged or produced. 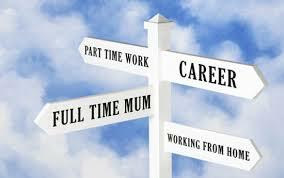 Let me know your thought on women, working mums, non-working mums, stay at home mums in the comments below! For the NH mumpreneurs out there, feel free to leave your comments about being a mumpreneur, or let us know what great business you have started!